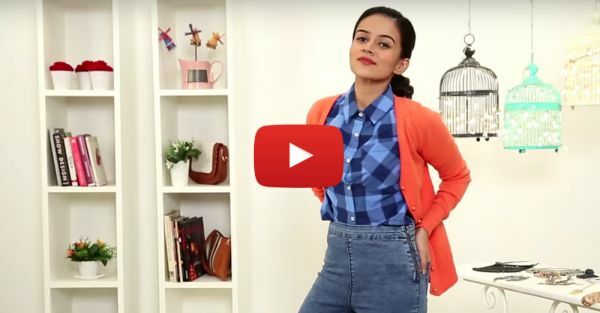 4 Fab New Ways To Style The Same Old Cardigan! Just because it’s cold doesn’t mean you have to wear a boring old cardigan all the time. We all that our favourite go-to cardigan that becomes our second skin during the cold, and here are 4 fab ways to style it! What you need: Your wardrobe and your thinking cap! Difficulty Level: Easier than boiling water! Watch the video NOW! PLUS: Subscribe to POPxo on YouTube for original videos + our favourite videos from around the web! Dress up your cardigan by wearing it on top of your favourite summer dress. Accessorize with a neckpiece that goes with the outfit and create a pretty ensemble that’s perfect for that brunch you have planned. If you want to go casual, then layer your cardigan over a button down shirt. This cool easygoing look is perfect if you have a long day ahead of you and it will still make you look chic and stylish. You can add jewellery if you want to dress it up a bit and make it less casual. Enjoy more fun stories on the super cool POPxo app…Click here to download! Another stylish way to wear your cardigan is to wear it over a graphic tee and high-waisted pencil skirts. Trust us, this easy outfit combination will leave you looking and feeling like a fashionista...with zero effort!